The Trump administration has released a new version of the I-9 Form (Employment Eligibility Verification form) that you’ll need to begin using by Sept. 18, 2017. Plus, the feds last month confirmed the hiring of 10,000 new Immigration and Customs Enforcement (ICE) agents to focus on civil and criminal investigations—a move that could triple the number of I-9 workplace audits conducted by the agency. THE NEW FORM: The new I-9 form is dated 07/17/17 in the lower left corner, and it replaces a version dated 11/14/2016. Following a two-month grace period, you must start using the new I-9 by Sept. 18. This new interactive PDF still contains all the “smart I-9” features that were unveiled earlier this year to help employers reduce errors and complete the form more easily. The only changes to this new version are a few minor changes to acceptable documents and other technical changes. Employers must continue following existing storage and retention rules for any previously completed Form I-9. The name of the Office of Special Counsel for Immigration-Related Unfair Employment Practices is changed to its new name, Immigrant and Employee Rights Section. Added: the Consular Report of Birth Abroad (Form FS-240) to List C. Employers completing Form I-9 on a computer will be able to select Form FS-240 from the drop-down menus available in List C of Section 2 and Section 3. E-Verify users will also be able to select Form FS-240 when creating a case for an employee who has presented this document for Form I-9. Combined: all the certifications of report of birth issued by the Department of State (Form FS-545, Form DS-1350 and Form FS-240) into selection C#2 in List C.
Renumbered: all List C documents except the Social Security card. For example, the employment authorization document issued by the Department of Homeland Security on List C will change from List C #8 to List C #7. Out with the old, in with the new. This year’s turn of the calendar also carries a new paperwork duty for all employers—trash your old version of the I-9 (the Employment Eligibility Verification form) and start using the new “smart” version by Jan. 22. The U.S. Citizenship and Immigration Services (USCIS) published the long-awaited new version on Nov. 14, 2016. It carries an 8/31/2019 expiration date. You can continue using the current I-9 version (which has a 03/31/16 expiration date) until the new one becomes official on Jan. 22, 2017. At that point, the new version becomes mandatory for all employers. What’s new on the I-9? This new version includes expanded instructions, the ability to add multiple preparers and a handful of changes to various fields. Example: the “Other Names Used” field is being replaced by “Other Last Names Used” avoid possible discrimination and protect the privacy of transgender people. A barcode unique to each form (QR code) to identify it for audit purposes. Note: The changes stop short of creating a fully electronic I-9. While you will be able to more easily complete the form on your computer, you will still need to print the form, obtain handwritten signatures, store the paperwork and monitor forms for reverification. 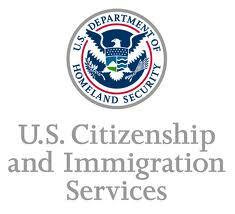 Find links to more Form I-9 information and news at the USCIS I-9 website. On March 8, 2013, the U.S. Citizenship and Immigration Services (USCIS) issued a new version of the Employment Eligibility Verification Form. Employers have been required since 1986 to complete the I-9 Form for each new hire to verify the person’s identity and work eligibility, then to keep the form on file. The USCIS announced the change in the Federal Register on March 8 and published the new form on its web site. 60-day grace period. Employers can immediately start using the new form, which carries a “Rev. 03/08/13)N” notation in the bottom left corner. The USCIS is giving employers 60 days to begin using the new form in their hiring procedures. “After May 7, 2013, all employers must use the revised Form I-9 for each new employee hired in the United States,” said the agency. Employers that fail to use the correct form after 60 days open themselves to the varying penalties under the law. Note: Employers do NOT have to complete a new Form I-9 for current employees if they already have a complete I-9 on file for that worker (unless reverification applies). Unnecessary verification efforts of your employees could trigger a discrimination complaint. So, starting today, only use the new form with new hires or employees who need I-9 reverification. USCIS has also scheduled free webinars to help employers learn about the new form. For an employee who checks “An Alien Authorized to Work Until….” and who were issued an I-94 card, he or she will also need to list the foreign passport number and country of issuance. The List of Acceptable Documents includes a reference to Section 2 of the Handbook for Employers regarding information about acceptable receipts. Adds a field for the Employer representative to print his or her name. 1. Do require all new hires to complete and sign Section 1 on their first day of work. 2. Don't ask an applicant to complete an I-9 prior to extending a job offer. Information on the I-9 could be used as a weapon in a discrimination lawsuit if the applicant is not hired. 3. Do review the employee's documents to make sure they are on the Form I-9's list of acceptable documents and to make sure they appear genuine. 4. Don't ask the employee for any particular documents or more documents than required by the I-9. The employee chooses the documents, not you. 5. Do establish a consistent procedure for completing I-9s and educate your hiring managers. 6. Don't consider the expiration date of I-9 documentation when making hiring, promotion or firing decisions. 7. Do make and retain copies of all I-9 documentation employees provide. These documents will come in handy in the event of an audit. 8. Don't forget to keep a tickler file to follow up on expiring documents. Notify employees of the need to re-verify documentation 90 days before the current documents expire. 9. Do keep the Form I-9 and copies of an employee's documents for three years after the date of hire or one year after termination, whichever comes later. 10. Don't put the Form I-9 in an employee's personnel file. To protect your company against discrimination claims, keep the I-9 and supporting documentation in a separate file.